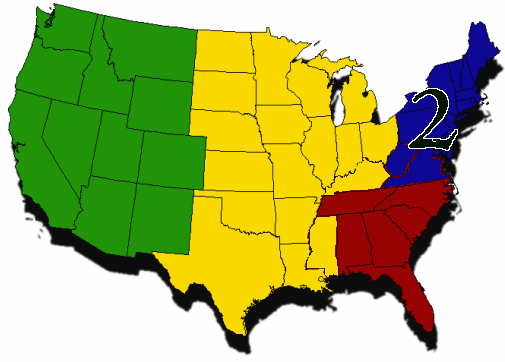 We’ve divided up the country into different regions. Each region has just about every park in that region nominated! At the end of the poll, the top two from each region will face off with the winners from the other regions. Two from each region will enter, but in the end only one park will be crowned Park of the Year. Last Year’s Region Two winners were Busch Gardens Williamsburg and Six Flags New England. Busch Gardens Williamsburg had a huge year with the addition of Verbolten and the addition of several new features in Christmas Town. Could we see a run at the title from the Virginia park? Congratulations to all of the nominees! We recommend that all nominated parks and fans share on Twitter, Facebook and other Social Media outlets. This poll will determine the Park of the Year in Region Two and which two parks will move on to compete in our Finals for Park of the year for our annual “Thrill Weekly Awards” which are to be announced in January. The poll will be open until 11:59 p.m. EST on December 5th, 2012.